Jakarta, March 28 2014 - Archipelago International, Indonesia’s leading hotel operator, has recently announced plans to expand its portfolio of NEO hotels in Jakarta, adding four more NEO hotels to the capital city in 2015. Hotel NEO Kelapa Gading will hold 100 stylish rooms together with convenient hotel facilities such as a meeting room and a coffee shop. Located in the Kelapa Gading area, the hotel is close to a number of entertainment attractions and malls, such as Mall of Indonesia, Mall Artha Gading and Kelapa Gading Mall. 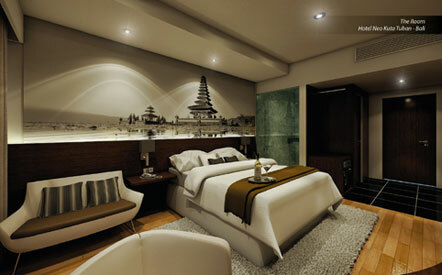 Hotel NEO Simatupang will consist of 140 rooms, 5 meeting rooms and a coffee shop. It is located in the South Jakarta area with easy access to the Central Business District, Pondok Indah International Golf Course and offers easy access to the trendy shopping centers within the vicinity. Hotel NEO Hayam Wuruk will boast 107 rooms, 3 meeting rooms and a coffee shop. Located in the central business district of Jakarta, the hotel is just 30 minutes from Soekarno-Hatta International Airport, 10 minutes away from Mangga Dua Mall and Glodok Electronic Shopping Centre. It is also close to the Presidential Palace and Batavia Old Town. Hotel NEO Kebayoran will consist of 105 rooms, 4 meeting rooms and a coffee shop. Strategically located in South Jakarta, it is just 20 minutes to Pondok Indah Mall, Senayan City and Plaza Senayan, as well as just 15 minutes away from Gandaria City. It also provides easy access to the Fly Over. Keeping in line with the NEO hotel concept, the new hotels will take the standard minimalist budget hotel concept to an entirely new level. Each NEO hotel showcases authentic contemporary art, invigorating interior designs and high-end in-room facilities. The NEO brand also promises a totally smoke-free environment, ultra high-speed complimentary WiFi and an uncomplicated, smart-casual approach to service delivery. All room rates are intentionally affordable for everyone while exclusive benefits are reserved for online customer bookings via the group’s website www.NeoHotels.com. “We are delighted to be expanding our NEO brand once again, to continue the resounding success of our previous NEO hotels. Not only are we increasing our presence in Bali in 2014, we will also be hitting the capital city in a big way in 2015.” Said Norbert Vas, Vice President Sales & Marketing Archipelago International. The new NEO concept aims to open doors to a world of wellbeing and sensual satisfaction. Designed in a stylish and contemporary style befitting the latest trends in hotel design, NEO Hotels offer uncluttered open spaces for an atmosphere of relaxation and tranquility within these chic yet reasonably priced new-build hotels and resorts. Archipelago International is one of Indonesia’s leading hotel operators with an underlying portfolio of more than 75 hotels and 12,000 rooms. As a continually expanding brand, Archipelago International has a development pipeline exceeding 90 properties in Indonesia, the Philippines and Malaysia. Archipelago International hotels operate under the hotel brands Grand Aston, Aston, Aston City, Alana, Harper, Quest, favehotels, NEO and Kamuela, ranging from ultra luxurious private pool villas to serviced apartments and select service economy class hotels, thus offering Indonesia’s vastest and most comprehensive hotel network.